Yarns in cupro are produced from the purest cellulose found in nature: by means of a specific process, the cotton-waste is dissolved and extruded, obtaining a very fine thread. Its multifilament and capillary structure allows us to produce a material with unique characteristics of comfort, ventilation and resistance but which is also extremely delicate and atoxic. 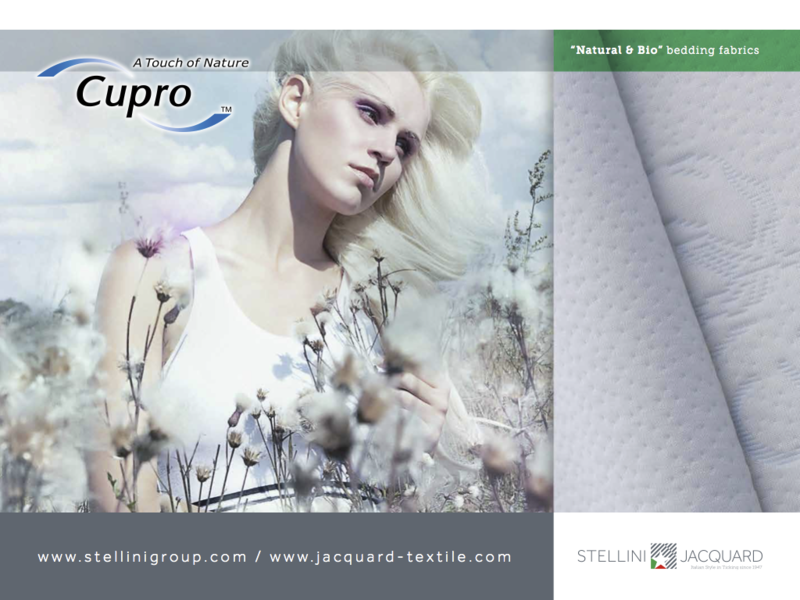 Fabrics manufactured with this material are hypoallergenic and therefore ideal for contact with the more delicate zones of the body. With this extraordinary material we have created a collection of bright and colourful fabrics whose extraordinary quality also helps to improve sleep quality. Soft and fresh to the touch. Softness for draping (ideal for refined fabrics).